Choline, is probably the most important nutrient you’ve never thought about. Why is it so critical and why hasn’t it made the news? Read on friend..that is, if you’re interested in having a good memory, muscle control, and brain function. Which of course you are! It’s a B vitamin, the precursor to two phospholipids that form the foundation of ALL cell membranes. Yes– pretty important! It’s also the precursor of acetylcholine, a neurotransmitter that helps your brain send messages. An Adequate Intake was established just 10 years ago by the National Academy of Science. Choline is not something usually checked in a random blood test. That’s because the level barely budges below 50% of normal, even when a person hasn’t had ANY choline for a week. It’s thought that’s because the body breaks down cell membranes to grab the choline it needs. Ouch! Good Memory—for Both Young and Old. During pregnancy, choline helps with the formation of the memory center of the brain. Along with it’s partner folate, it’s also been shown to help prevent neural tube defects. The two phospholipids mentioned before also contribute to mood and muscle function, which you also may want to keep in fine shape. Now, Where Can You Get It? If you’re one of those people who throws his egg yolks down the drain to be uber healthy, just stop. 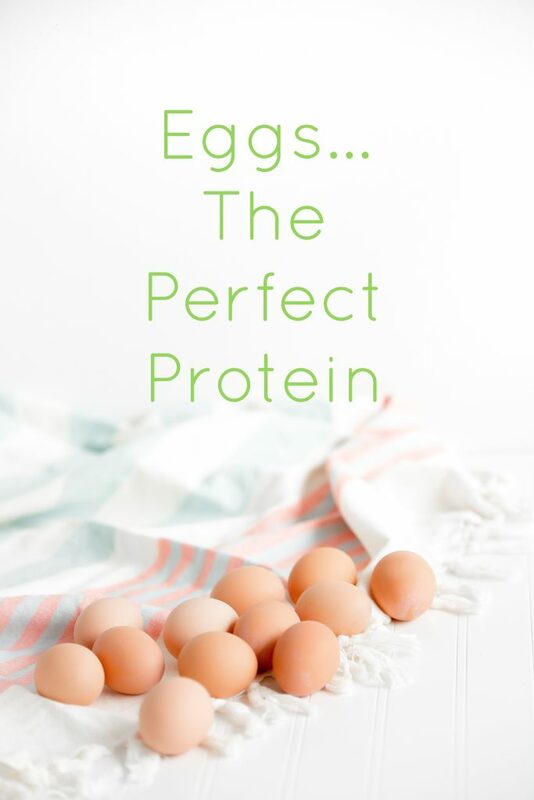 That’s one of the best sources of choline you can find. Two whole large eggs gets you almost half of the DRI for choline, while 3 ounces of beef liver gets you about 65% of the DRI. Vegan? You can also get choline from veggies. A cup of roasted soybeans will yield about 40% of this important B vitamin. Probably not. 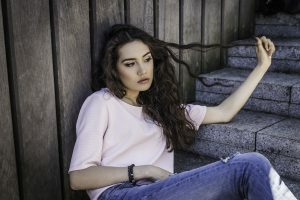 The latest NHANES Survey (National Health and NutritionExamination Survey 2009-2014) showed that only 8% of adults and 8.5% of pregnant women were getting enough. Those who ate eggs had about twice as much choline in their diet as those who didn’t. Those who ate animal protein such as meat, fish and poultry had about 100 mg more choline in their diets than those who didn’t. Men need 550 mg and Women need 425 mg, unless they’re pregnant or nursing and then that number goes up to 450 and 550 mg. Premenopausal women can make some choline on their own because estrogen switches on the gene that helps the body make it. But men and postmenopausal women don’t have enough estrogen, so they definitely need to get it from diet. The bottom line: it’s difficult to get enough choline unless you eat eggs or take a supplement. If you’re worried about cholesterol in eggs, don’t. This study of healthy young people found that eating 3 eggs a day increased choline in the blood stream and also increased HDL levels. Most prenatal supplements and general multivitamins don’t contain this important nutrient You have to do your due diligence to find one that does–or take an individual supplement. What If You Don’t Get Enough? 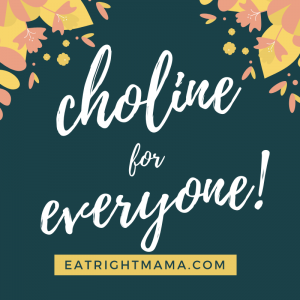 A choline deficiency can cause non-alcoholic fatty liver disease and if during pregnancy can lead to neural tube defects and suboptimal brain development in the fetus and infant. Eat your eggs! Usual choline intake in the US: Nutrients 2017.